Station 5 is a game where you play as 1 firefighter in a team of 4. 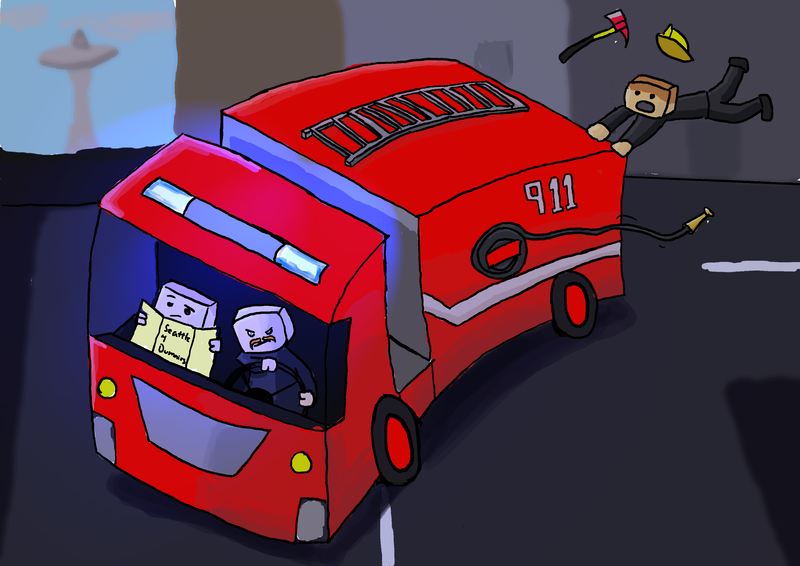 You have to work together to complete missions which means everything from packing the firetruck, driving to your destination and finally putting out the fire. This game was made in a month in Seattle as part of a school trip. "…it's almost like Assad isn't the worst case scenario or so..thingme.."It's "dÃ©jÃ vu" all over again, look at Egypt, Tunisia, Algeria, Morocco etc.